If you want to watch Eurosport Player and you’re abroad it can be difficult to find reliable information. 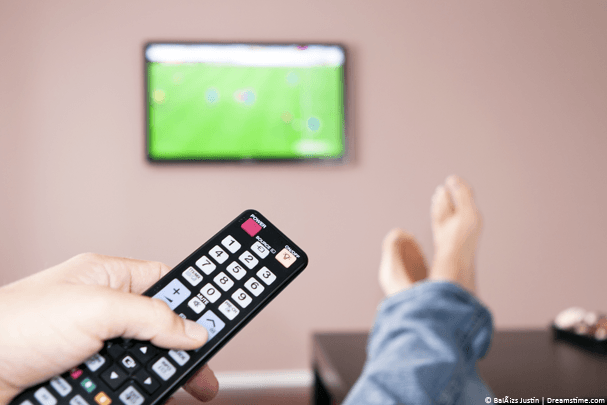 In this guide we’re going to show you the incredibly easy way how you can watch Eurosport Player from anywhere in the world and with minimal effort. If you’ve got access to Eurosport via your cable package such as Sky Go or other networks then you’ll need to use their streaming service and you can find an example of how to do that while abroad by clicking here. If you’ve subscribed to Eurosport Player then you’ve probably already tried to access it while abroad and found it blocked. Below we’ll show you how you can unblock it using something called a VPN so that you can watch from anywhere in the world. When you visit the Eurosport Player website and you’re not in your home country, such as the UK for example then you’ll be blocked from watching. To bypass this block you need to sign up for a service called a VPN. A VPN will cost you between £3 – £6 (approx US$5 – 10) depending on how long you sign up for. The longer you subscribe for the cheaper the price. Just follow the instructions below which will show you where to get yourself a VPN and how to use it to watch Eurosport Player abroad. Click Start Now and complete the sign-up process. Download their app from your app store or their software from the Apps area of the IPVanish website. Install and run the app or software, login when required. Select United Kingdom (or your home country). The examples below show you the steps to connect on both mobile devices and desktops. It takes around 15 to 30 seconds for the IPVanish app or software to connect. Once it has connected any websites you visit will think you’re in the United Kingdom (or whatever country you selected). All you need to do now is visit the Eurosport Player website. Rather than be blocked with the message you saw earlier you’ll be able to access the entire website and stream all of the Eurosport action. Are there other VPN services? Yes, there are plenty of other VPN services available but not all are suitable to watch Eurosport Player abroad. You need to find a fast VPN service which is why we recommend IPVanish because if you get a slow one you’ll be plagued with buffering which will ruin your enjoyment of watching Eurosport. You also need a VPN service that has a “VPN Server” in the country you’re from. For example, a UK VPN server to allow you to watch Eurosport Player UK. They all work the same as IPVanish as explained earlier in this article only the layout of their apps and software will look a little different but the functionality is the same. Why is Eurosport Player blocked? Eurosport Player is blocked because it’s only intended to be used in the country you reside in. It’s a bit of strange situation because it’s a premium service that you pay for, yet you’re not able to use it while travelling. Take for example you have a Eurosport Player UK subscription. When you visit the Eurosport Player website it checks your location. If you’re in France, Australia, the USA or anywhere else it knows this and blocks you from accessing. 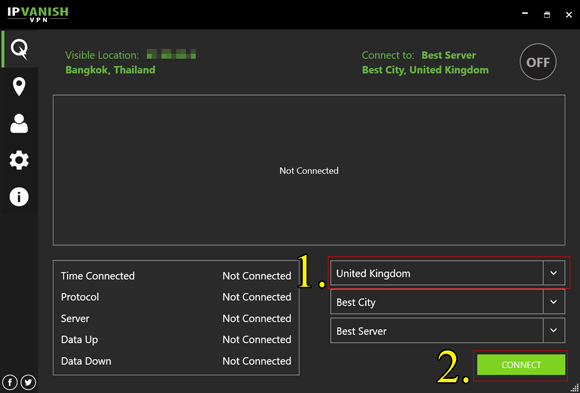 A VPN allows you to change your online location to another country, for example the United Kingdom. When using a VPN and visiting Eurosport Player it sees that you’re in the UK rather than Australia or anywhere else in the world and so instead of blocking you it allows you to watch. Don’t forget, all you need is a VPN service and you’ll be able to watch Eurosport Player abroad from anywhere in the world.